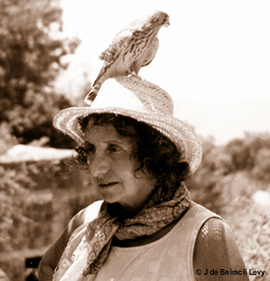 Award-winning film exploring the life and work of Juliette de Bairacli Levy: world-renowned herbalist, traveller, author, pioneer of holistic animal care, breeder of afghan hounds, and friend of the Gypsies. Juliette was born to an Egyptian mother and Turkish father in Manchester, England in 1912. 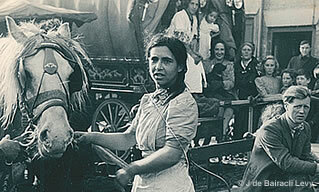 Her parents were wealthy and employed a nanny, maid, chauffeur and gardener. As a four-year-old Juliette became interested in the welfare of animals when her puppy died, and she went on to study veterinary medicine. Her course included vivisection and experiments on live animals, to which she disagreed, so she left. Instead Juliette went travelling, visiting Gypsies, peasants and farmers throughout the world in order to learn their herbal remedies and natural ways of rearing animals. In the 1930s she set up a dog distemper clinic in London with customers such as actor Douglas Fairbanks Jnr and the vets of King George VI of England. 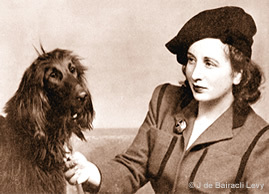 Juliette cured hundreds of dogs by natural methods and developed her own brand of herbal pet products, the first of their kind on the market. She became enamoured of afghan hounds, and the line of Turkuman afghans which she bred became champions at Crufts and dog shows all over the world. 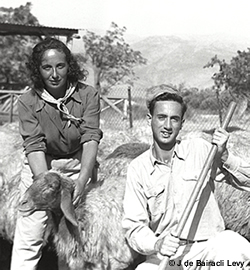 After WW2 Juliette worked in Yorkshire, where she saved the lives of 3000 swaledale sheep condemned by black scour, feeding them on green herbs, milk and molasses. She continued to travel: “I realized that if I wanted to learn the traditional ways of healing and caring for animals, I had to be where people still lived close to the land and close to their flocks” . “From Berbers, Bedouins, nomads, peasants, and Gypsies in England, Israel, Greece, Turkey, Mexico, and Austria, I learned herbal knowledge and the simple laws of health and happiness." 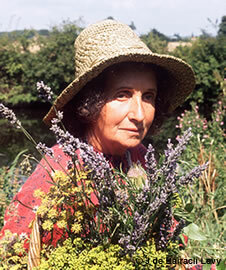 Juliette's Complete Herbal Handbook for Farm and Stable was published in 1952. It covered the natural rearing and treatment of sheep, goats, cows, horses, poultry, sheepdogs and bees. A landmark book for vets, it was the first time these natural remedies had been written down. 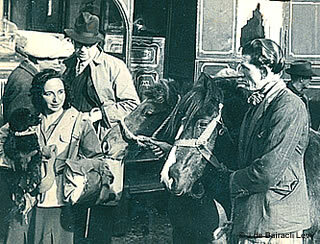 Whilst living in the mountains of the Sierra Nevada in Spain Juliette met her future husband, journalist Francisco Lancha Dominguez. 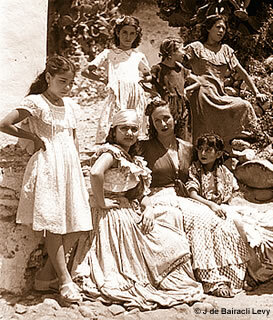 One evening when they were living with Gypsies in Granada a swift flew in at the window and landed on Juliette's lap. 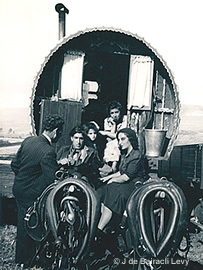 The Gypsies proclaimed this amazing good luck! 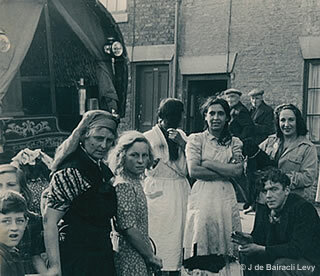 When her daughter Luz was born, both Juliette and her son Rafik got typhus. She could not feed her baby; instead a friendly goat suckled the child. 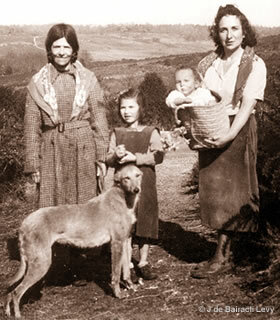 For three years Juliette lived in a small cottage in the New Forest of Hampshire, England. She grew herbs, wrote books, and met local painters Augustus John, Eryl Vize, Sven and Juanita Berlin, and of course the New Forest Gypsies. Eiza Cooper (in the photograph) was a special friend. When she married Francisco in a local Registry Office Gypsies showered them with handmade confetti and gave them sprays of wild jasmine as a wedding gift. Juliette's book Wanderers in the New Forest, with a foreword by Augustus John and a cover by Eryl Vize, was published in 1958. Juliette moved to Israel and surrounded herself with animals, including an owl which settled on her daughter's head when the girl played a flute. Juliette's pet falcon would perch on her own head. And to America where Juliette contacted Gypsies over-wintering in Manhattan before they hit the road south. Later in the year she met the same New York Gypsies down in Mexico, running sideshows. By the 1980s Juliette lived on the Greek island of Kythera. In 1991 Tish Streeten began 7 years of filming for the Juliette of the Herbs documentary, travelling with her to England, Europe, America, and onto the Azores when Juliette moved her home there. In May 2009 whilst in Switzerland Juliette died peacefully at the age of 96. Still travelling, her ashes were finally laid to rest on the Island of Kythera. * Wanderers in the New Forest. 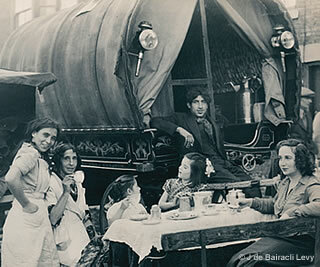 * As Gypsies Wander: Being an Account of Life with Gypsies in England, Provence, Spain, Turkey. * A Gypsy in New York. * The Illustrated Herbal Handbook for Everyone. * Natural Rearing of Children. * The Complete Herbal Handbook for the Dog & Cat. * The Complete Herbal Handbook for Farm & Stable. * International Documentary Association, 1998: Feature Award Nominee. * Seattle International Film Festival - Women in Cinema, 1999: Best Documentary. * Green Extreme Film Festival, 1999: Honorable Mention. * International Wildlife Film Festival, 1999: Merit Award for Storytelling. * Laguna Beach Film Festival, 1999: Artists Award. * EarthVision Film Festival, 1999: Winner. 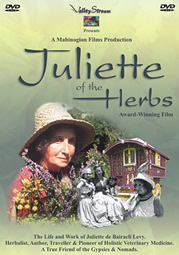 Buy Juliette of the Herbs DVD. Duration: approx 75 minutes.